We do not cloth diaper however, we still get plenty of use out of our Smart Bottoms small wet bags. We like to use them whenever we are around water. Whether it’s the pool, the beach or just the splash pad these wetbags are perfect for transporting wet clothes or swimsuits. 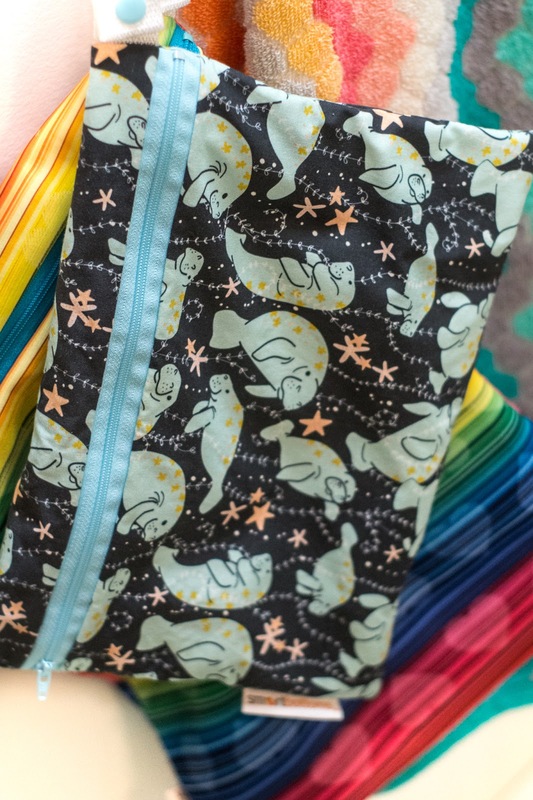 It is a perfect size for 2 swimsuits, has a snap handle to attach to the diaper bags or a beach bag and has a double layer of fabric to prevent anything from leaking out.